Excellent candid shot, hope he had a successful day. 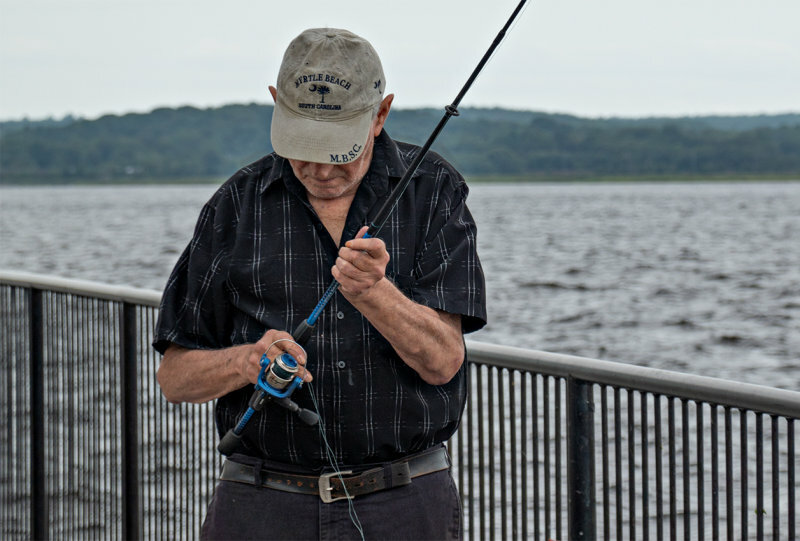 Very nice candid capture of this fisherman who seems preoccupied with his line, Frank.V! A wonderful composition of this man so intently engaged! Nice candid with good detail and depth of field. I prefer to go fishing at the market. "V"